We are pleased to announce the promotion of Nathan Bean to the position of Plant Manager – Highlands. 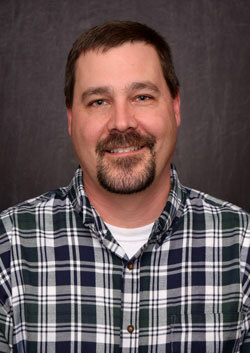 Nathan has been with Strongwell since March 30, 1998 when he began his career as a pultrusion operator. Since his initial employment date, Nathan has held progressively responsible positions including Supervisor, Operations Coordinator and most recently, Logistics Manager – Virginia Operations. Nathan and his wife Erin reside in Emory Virginia and have been happily married for 16 years. They have two children, Austin and Riley. In his spare time, Nathan enjoys hiking and fishing. Please join us in congratulating Nathan on his new role.